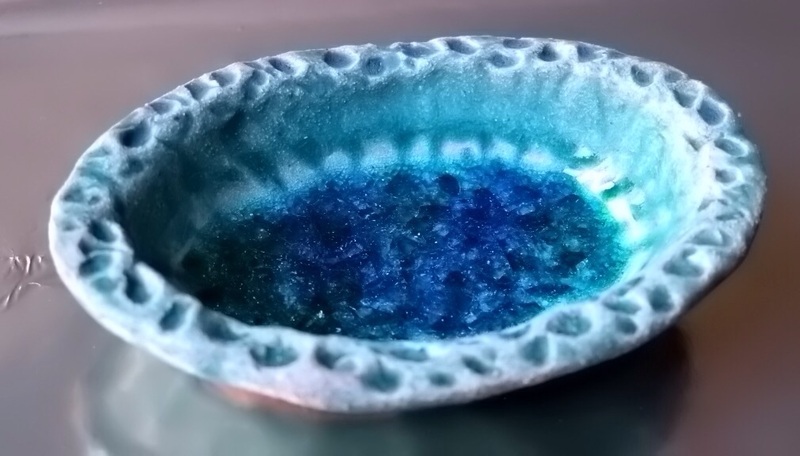 Raku clay with fused glass frit in blue and green. Seven inches long. This entry was posted in Ceramics on 16th January 2015 by admin.